You already know that, at Towing Aurora, we continue providing the best in complete towing solutions throughout the Aurora, CO community. What you might not stay aware of is that we also serve Denver, Colorado, as well. No matter where in the two cities you need a professional tow truck provider, you can still count on us for the best quality of service possible. More area drivers know that when you need a reliable tow service and affordable pricing, you need our experienced operators assisting you. No other tow company provides the number of options or as fair of rates as our team does all 24-hours of every day. 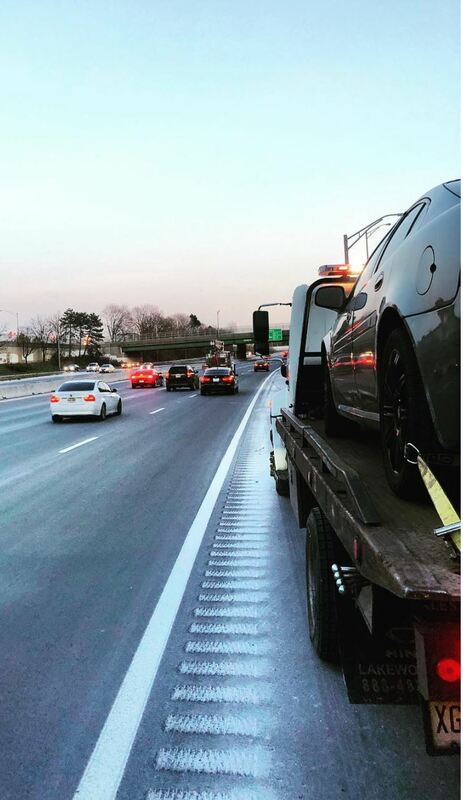 See why we remain the towing company more drivers turn to for help each time they get stranded. Why continue waiting longer for help to arrive when we beat out the competition on every service call? Save more on added convenience every day and hire us to haul away your vehicle. How many times have you needed auto wreckers, and they tell you it will be anywhere between 45 minutes to several hours before they show up finally? The reason why that is remains that most cheap towing providers service other communities that they don’t reside. Many tow truck company providers know that larger cities have more drivers, allowing them to cash in more efficiently than the town that they operate. However, that means that it only takes longer for them to locate you, and they’ll charge higher rates to cover costs. ​See why more area drivers continue relying on us for complete towing solutions. No one else provides the level of quality or faster service than our experienced drivers do daily. In addition to offering a better choice for vehicle towing solutions, you can also count on us for continued roadside assistance services. We provide several different ways of helping you get back on the road quickly, all at lower pricing than anyone else. Choosing us in any situation means avoiding costly service calls and better results, no matter what the issue might be. Whenever you find yourself asking how you’re getting home, we always have the best answer each time. ​​And more roadside assistance solutions. Whatever it takes to get you home safely, we offer it all for less each time. Contact us at the first signs of trouble and experience the best in complete roadside assistance services. How many times have you sat on the side of the road, trying to run a Google search for a “towing company near me”? Although it returns many different results, most are nowhere close to your current location. One of the things that we pride ourselves on is our level of convenience to anywhere throughout the community. We provide faster arrivals throughout the city, allowing us to assist you sooner than anyone else can. No one provides more convenient towing throughout the immediate areas as our expert drivers do daily. When you need a better towing solution for any situation, you won’t find a more qualified staff than ours. With many service providers, you can almost instantly tell why one company would be better suited for your call than others. However, when it comes to vehicle towing services, it rarely gets any easier when you find yourself stranded. When you aren’t in a position to price shop or ask for quotes, it helps to know of someone who you can trust before you need their assistance. That is why we continue providing the best in complete towing and roadside assistance services anywhere that you need us to service. Hiring any other provider often leads to longer wait times, higher costs, and fewer service options, trapping you in a situation most consumers would prefer to avoid. However, once they have your car loaded onto their truck, you must pay whatever price they ask. Instead, we do our best to keep our rates low, no matter what time of day it is or what you need the most. When you need reliable service options and affordable pricing, you need us today. Choose Towing Aurora for any needs and save more on quality tow truck solutions every day.